Stewart Island has been pig-free for many years. 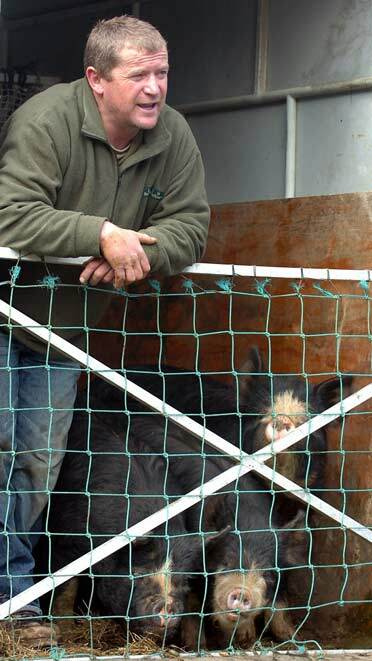 Gavin Ferguson is photographed here with his three Berkshire pigs which were relocated to the mainland after he learned that pigs were not allowed on Stewart Island. Wild pigs can cause considerable damage to native habitats.